We just launched a campaign with Bonfire funds to help us raise money for our missions work in Bogota, Colombia. All proceeds and extra donations will go towards our missions service and will help get us to the field. Click to order your shirt(s) now. The fundraiser is open until Thursday, October 23rd. You can purchase our design printed on a shirt of your choice. Shirt styles available include: standard unisex, ladies, youth, long sleeve or hooded sweatshirt. All shirts will have the front design and our los Floyds logo on the back. Pricing differs per style so see website for details. The front image was designed by Ross himself and is the skyline of Bogota against the mountains which overlook the city. The mountains are the colors of the Colombian flag. We desired a design that would be interesting and that would cause someone to ask about it. This way by wearing our shirts, you can help us tell our story! 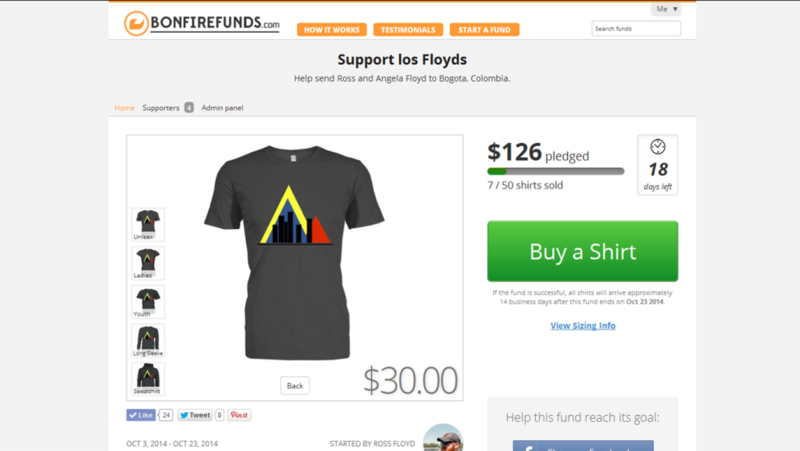 We are selling our shirts through a company called Bonfire Funds. 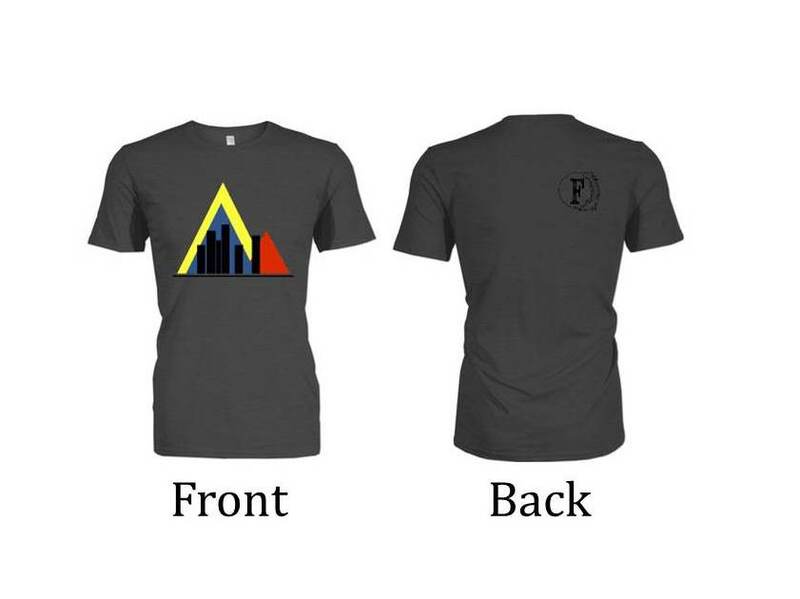 They are a great company that help individuals and non-profits raise funds and awareness through creating the framework to sell and print t-shirts. One of the awesome things about the way the company works is that they will only print the orders that are received. This means that there is no extra inventory (or financial loss) to worry about. To do this, effectively there is a start and an end date for the fundraiser. There is also a minimum amount of shirts that need to be sold in order to go to print. If the minimum amount of shirts is not sold by the end date, then no shirts are printed and no funds are collected. For our fundraiser we set a minimum of 50 shirts. We would LOVE to sell about 100+! Assuming the minimum shirts are sold, you will receive your order approximately 2 weeks after the end of the fundraiser. For this sell, the end date is October 23rd. Orders will be shipped directly to you from Bonfire Funds. Overall, this is a practical way for us to raise some additional needed funds for our missions service in Bogota. If all goes well, we would love to design and sell t-shirts a couple of times a year. If you have any questions, feel free to let us know.